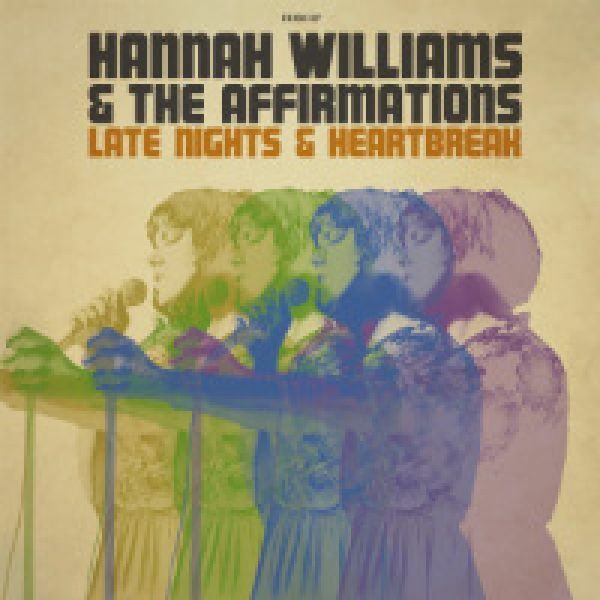 The musicianship has ramped up several gears since Hannah?s first album; bringing a welcome flare of excellence which punctuates Hannah?s heartbreaking vocals and embraces Malcolm?s tight, psychedelic production. Mixed totally analogue, and mastered on tape, "Late Nights & Heartbreak" includes 13 tracks of visceral soul with a touch of psychedelic atmosphere - as evidenced by the first single:"Tame in The Water". The sound is tighter and punchier than ever before - a trait of the Affirmations which has been brought out in several mind-blowing tracks - like the 8+ minutes of "Still in My Head". Which grooves hard throughout, and showcases Hannah up to her most show-stopping moment on the album. "Woman Got Soul" is another 5 minutes of groovy, addictive proof that this is next-level for Hannah and her band. The albums? grooves are interspersed with deep and layered soul tracks, like "Another Sunrise" or "Your Luck Can Change" which act as musical beds upon whichHannah explodes with genuine emotions of love, lust, longing and anger - and everything in between. All the songs are original and come from hands of the Bristol-based collective surrounding The Affirmations, led by MD James Graham. The only exception being a monster psychedelic soul version of "Dazed and Confused", which is strongly influenced by the original version by Jake Holmes. The musicianship has ramped up several gears since Hannah's first album; bringing a welcome flare of excellence which punctuates Hannah's heartbreaking vocals and embraces Malcolm's tight, psychedelic production. Mixed totally analogue, and mastered on tape, "Late Nights & Heartbreak" includes 13 tracks of visceral soul with a touch of psychedelic atmosphere - as evidenced by the first single:"Tame in The Water". The sound is tighter and punchier than ever before - a trait of the Affirmations which has been brought out in several mind-blowing tracks - like the 8+ minutes of "Still in My Head". 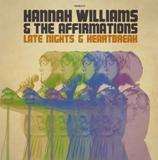 Which grooves hard throughout, and showcases Hannah up to her most show-stopping moment on the album. "Woman Got Soul" is another 5 minutes of groovy, addictive proof that this is next-level for Hannah and her band. The albums' grooves are interspersed with deep and layered soul tracks, like "Another Sunrise" or "Your Luck Can Change" which act as musical beds upon whichHannah explodes with genuine emotions of love, lust, longing and anger - and everything in between. All the songs are original and come from hands of the Bristol-based collective surrounding The Affirmations, led by MD James Graham. The only exception being a monster psychedelic soul version of "Dazed and Confused", which is strongly influenced by the original version by Jake Holmes.